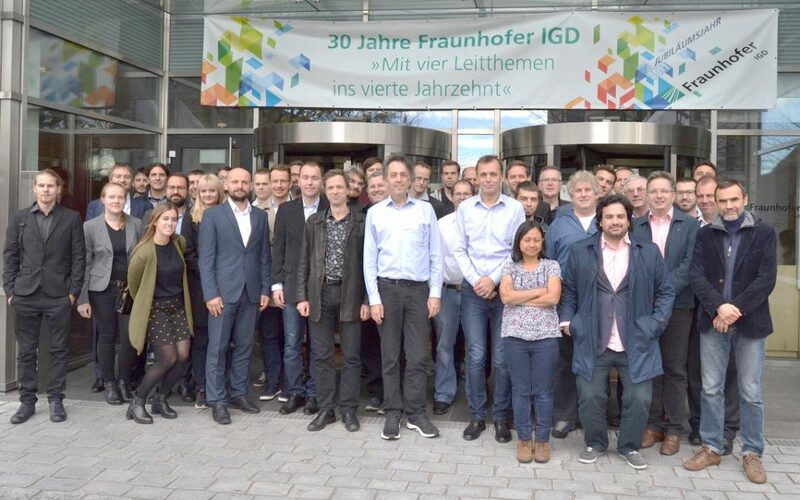 In October 2017 the Horizon 2020 Innovation Action “CloudiFacturing” (www.cloudifacturing.eu) was launched and 33 project partners, among Linz Center of Mechatronics GmbH (LCM), from all over Europe came together at Fraunhofer IGD – the coordinator of the Innovation Action – in Darmstadt, Germany. CloudiFacturing is bringing together the outcomes of two previous European initiatives “CloudFlow” (www.eu-cloudflow.eu) and “cloudSME” (www.cloudsme-project.eu). These initiatives have already demonstrated the benefits of cloudification for engineering services, by means of combining HPC resources, computational tools, and cloud computing platforms. This has empowered manufacturing SMEs to compute and solve CPU-intensive workflows that cannot be tackled without cloud and/or HPC technology. Consequently, SMEs can become more competitive by reducing development times for innovative products with better performance. The mission of CloudiFacturing is to optimize production processes and producibility using Cloud/HPC-based modelling and simulation, leveraging online factory data and advanced data analytics, thus contributing to the competitiveness and resource efficiency of manufacturing SMEs, ultimately fostering the vision of Factories 4.0 and the circular economy. A single point of access will conflate the cloud-based technology offerings of the start-up companies clesgo (www.clesgo.com) and cloudSME (www.cloudsme.eu). CloudiFacturing’s Digital Marketplace will pave the way toward manufacturing analytics, enrich the manufacturing engineering processes, and simulate as well as optimize the production processes with real-time support. Furthermore, the Digital Marketplace will enable the community of stakeholders to interact and collaborate with one another. CloudiFacturing will empower over 60 European organizations (many of them being manufacturing SMEs) and will support about 20 cross-national application experiments that will primarily be selected via two Open Calls. Parties interested in the Open Calls can contact us from now on. The responsible person for the Application Experiments run in the Open Call scheme is Tamas Kiss from University of Westminster (T.Kiss@westminster.ac.uk).